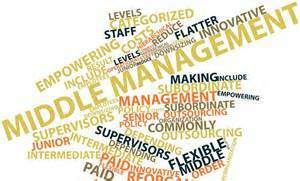 Is Middle Management Really Going Away? I had the pleasure of watching an interview with Jay Samit, CEO of SeaChange International and author of Disrupt You speak at the C-Suite Network conference a few months back. One of the more provocative predictions he made was that in 5 years, one half of all middle management jobs will be gone. Not 20 years. Not 50 years. Five. Commit to life-long learning: change is occurring so rapidly that we can’t possible know what our opportunities will be in 2 or 3 years much less 10 or 15. By continually learning you can see what may be coming around the bend and be ready for it while those who have chosen to shut-off their learning will never know what hit them. Keep an open mind: the further we go in life we can begin to assume that we know the answers and how it should work. The truth is, without an open mind, it’s amazing how wrong you can be. Invite data in: in some circles, you hear a lot about big data. Data comes in many forms – quantitative, qualitative, anecdotal. Data is available in so many ways, don’t be afraid to gather and use data to help inform your path and illuminate possibilities. http://nextbridgeconsulting.com/wp-content/uploads/logo-2-new_lngc2.png 0 0 nextbridgeconsulting http://nextbridgeconsulting.com/wp-content/uploads/logo-2-new_lngc2.png nextbridgeconsulting2016-07-14 08:00:152016-12-25 04:52:11Is Middle Management Really Going Away? Trying to promote change and innovation? Keep the end in mind with a robust, vivid, compelling vision that you keep front and center. It can unleash innovation and be a touchstone, barometer and guide for what and how things get done. The vision provides a road map for how something new or different is, indeed, not leading us into uncertainty but closer to the ultimate destination. And it’s important that the vision not just be a statement that hangs on the wall. It needs to serve as a tool to guide conversations, to help make decisions, to determine how resources are allocated and to promote debate. 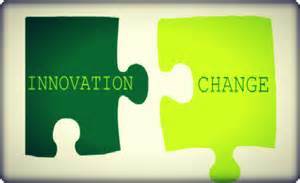 How are your vision helping promote change and innovation? Those of us that are of a certain age probably remember the ad ‘this is your brain on drugs’ with the egg sizzling in a frying pan. A very effective visual. You can argue whether it was an effective campaign. There is a visual I’ve been using recently to help explain the neuroscience of change. Jonathan Haidt originally talked about it in The Happiness Hypothesis and it was made famous by Chip and Dan Heath in their book Switch. Picture a rider and an elephant going down a path. The rider is the rational, thinking part of your brain. The elephant is the emotional part of your brain. The emotional brain is far older evolutionarily than the thinking brain. It is so old that some people refer to it as the reptilian brain. This is the area of the brain that responds to the environment. When danger is perceived, it triggers the flight or fight response. It is here that you determine whether you will take on the ‘danger’ or flee from it. Under normal circumstances, it is surprisingly easy for the rider to control the elephant. The rider can guide the elephant down the path and make it comply to his or her wishes. Now introduce change. The brain perceives change as a potential danger. Why? Because it is uncertain, something we can’t predict, something that we have less control of than our current situation. And, with this potential danger, the emotional brain takes over. Think of an emotional elephant. One trying to decide whether to fight or flee what it has encountered on the path. How easy is it for the rider to control that elephant? The rider needs to put the rational aside and work with the emotion. 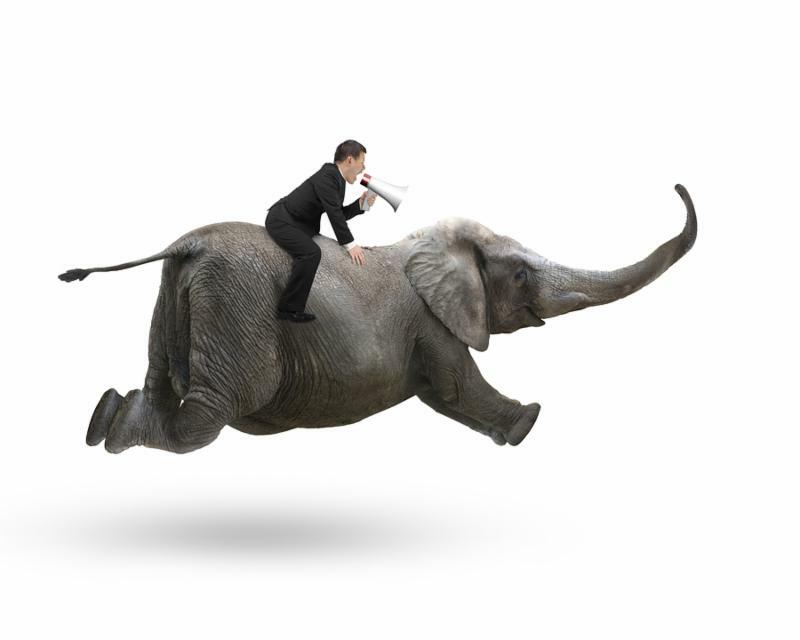 So, when you’re leading change, you need to make sure you are communicating to both the rider and the elephant. The rider needs to talk about what is happening, what the timeframe is, how it will be implemented, etc. The elephant needs to talk about the fact that change can be difficult and scary, it needs to have its emotions recognized, it needs to have an opportunity to vent its concerns and to replace the negative emotions with positive ones that allow it to move forward. Once the emotions are part of the conversation, the rider and elephant can begin working together again. People often don’t relish the idea of change. As a matter of fact, many people just don’t like it. 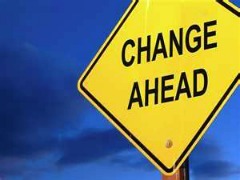 However, the reality for the foreseeable future is that change is happening quickly and often. Old mental model: Change means loss. 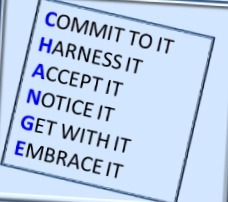 The first thing we often think about when a change is announced is “what will I lose?” We do lose during change. We lose what is familiar, what is stable, and what is defined. And, often times, that is a good thing. New mental model: means opportunity. Focus your mind space on what you can gain from change– the ability to learn something new, the potential to be re-engaged in what used be very routine and possibly boring, and the opportunity to contribute to making something new. Old mental model: Most change is a mess when executed. Unexpected things come up. Time lines shift. We all scramble when it doesn’t go as planned. New mental model: Change is messy, so think about contingencies. One of the best ways for change to work well is to think of those things that may not go as planned, plan for them and put those contingency plans in place if need be. Old mental model. Change happens to me. I’m the victim of change. It’s like an engine coming down the track and I can’t change how fast it’s going or where it will end up. New mental model: Be part of the change. Think of yourself as one of the many engineers of change. Ask to contribute to change planning. Suggest an improvement to change that isn’t working well. Learn all you can about it and share your knowledge with others. http://nextbridgeconsulting.com/wp-content/uploads/logo-2-new_lngc2.png 0 0 nextbridgeconsulting http://nextbridgeconsulting.com/wp-content/uploads/logo-2-new_lngc2.png nextbridgeconsulting2013-03-28 12:40:172016-12-25 04:53:33Love Change? Not so much.